We have been in business for over 13 years. 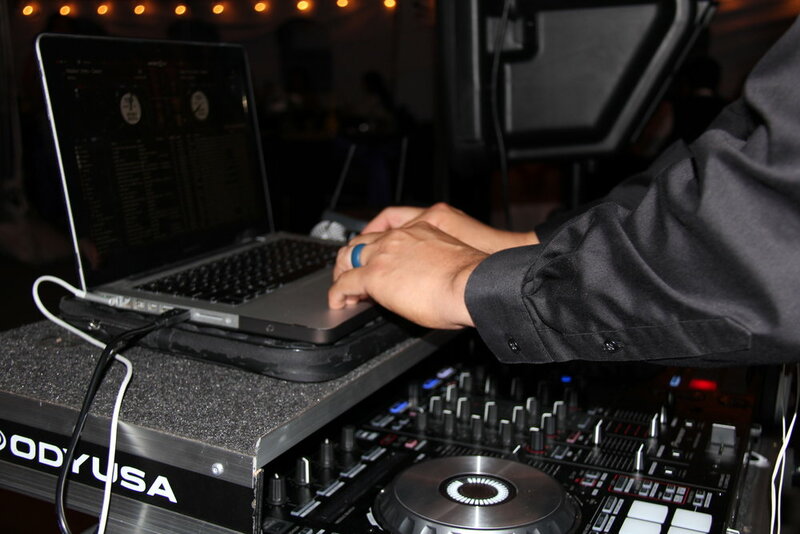 We make the choosing the music for your event a collaborative effort. We take your selections and use the feel from the guests to create an experience for you and your guests to always remember. At Black and White Affair we believe a mix of pop jams, a sprinkle of hip hop classics, a splash of R&B cuts are a glorious blend of music we love to play. Whether you are a professional event coordinator or someone what is planning your own event for the first time, we know it can be overwhelming to choose entertainment for a special event and that is why we are committed to making the selection process a pleasant and stress-free experience for you. Our djs are well-versed professionals and take pride in their skills, their ability to read the crowd, and respond accordingly with their music selection and performance is second to none. Weddings are phenomenal. But it can be a tad stressful for the couple. That is totally understandable, and its our job to relieve the stress by comprehending the couples needs. We strive to make your wedding an incredible event. Let us make it fabulous. A party for your employees or a way to promote business or fundraiser are events. We are pros - we arrive before the event, to set up and get the party going. We worked through out the Bay Area and take pride is creating dance floors wherever we go. Its crazy. Its like the dance floors follow us wherever we go. Whether throwing a small event at your home or a 25th year anniversary at a banquet hall, Black and White can make it happen. We will work with you to figure out the vibe you wish to create for your peoples.